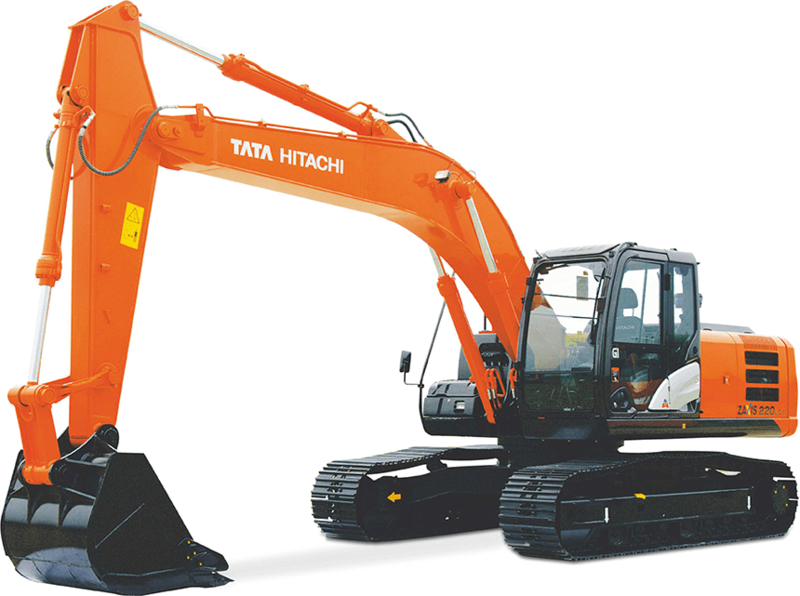 The ZAXIS220LC-M GI excavator from Tata Hitachi offers state-of-the-art Japanese technology and is among the newest generation of machines in the world. With an advanced Mitsubishi engine, superior productivity, fuel efficiency, stunning looks, premium operator comfort, versatility and rugged structure, it offers excellent returns on investment. 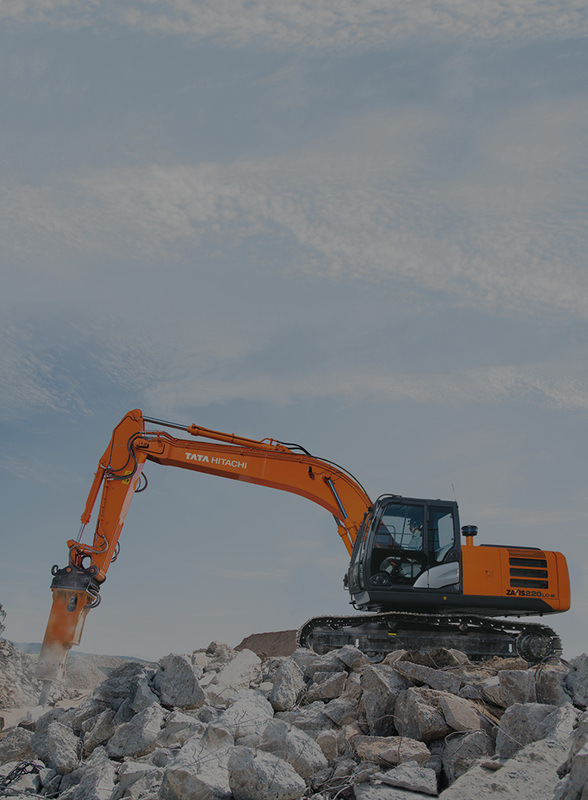 Provides easy access to machine on the site, conveying operating information and log, including machine location, daily operating hours, fuel level, temperatures, pressures and likes. The boom top and foot are reinforced with thickened high-tensile steel brackets, which incorporates steel bushing to enhance durability. Arm cylinders and boom cylinders (rod extend ends) cushion shocks at stroke ends to cut noise and extend service life. Joint pins at the front attachment are tightly fit to reduce jolt and sound. The arm-bucket joint is protected by WC thermal spraying on its contact surfaces to reduce wear and jolt. New-type steel bushings, utilised on joint pins, retain grease inside for longer greasing intervals. A reinforced resin thrust plate, mounted on the bucket pin, helps reduce wear and noise. The X-Beam frame is made monolithically with fewer welds for higher rigidity and durability. Track adjusters absorb impacts to crawlers. Front idlers and adjuster cylinders are integrated to increase durability. Idler brackets and travel motor brackets are both thickened for added durability. This engine has a track record showing impressive durability at countless tough job sites around the world. The engine features a rugged design, a direct fuel injection system and an elaborate governor make it more sustainable, helping it comply with EU Stage II and US EPA Tier 2 emissions regulations. The ample capacity intercooler and turbocharger help yield whopping 163 PS (120 KW) output for higher production in shorter job schedule.